Use Createx Auto Air Additives with Auto Air Paints to paint on metal, fiberglass, plastic, vinyl, wood, concrete, and glass. They are permanent, lightfast, and non-toxic, and packaged in 4 oz (118 ml) flip-top plastic bottles. 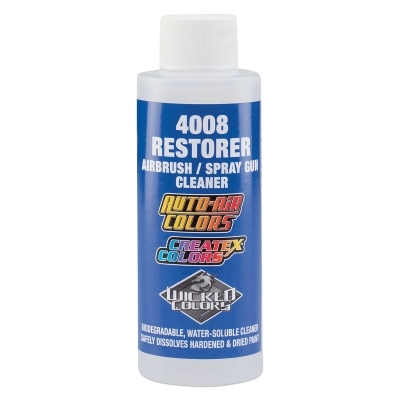 This medium removes or dissolves cured and uncured waterbased paints. 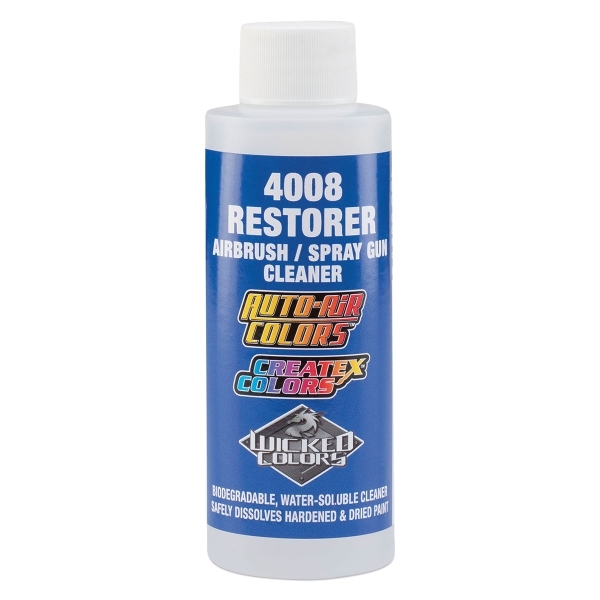 It makes for easy cleanup and complete removal of Auto Air Colors for cured finishes (prior to clear) and dried paint in spray guns and airbrushes. ® Createx Colors is a registered trademark.™ Auto Air is a trademark. ™ Candy2O is a trademark.